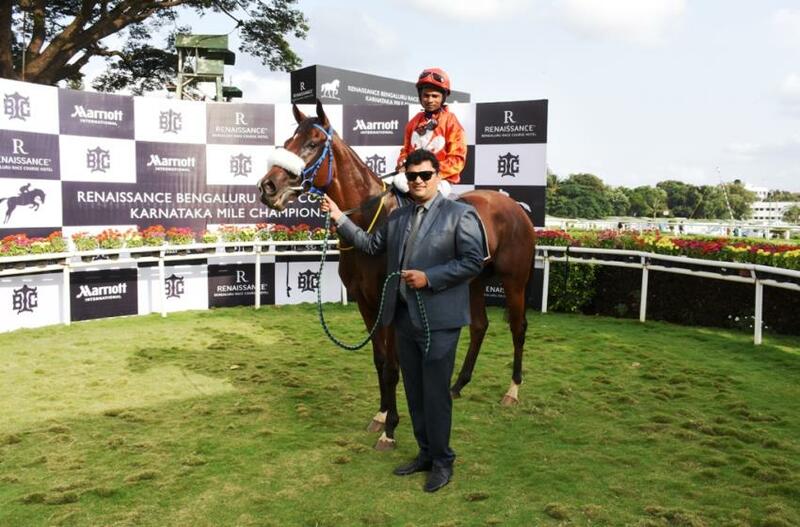 Prasad Raju trained Lady In Lace looked invincible in the Gr 2 Renaissance Bangalore Race Course Hotel Karnataka Mile Championship, a terms race for four-year-olds and over, the feature event of Sunday`s Bangalore races. And the manner in which she swamped the opposition was in line with this expectation. There is hardly any horse in the country who can match strides with her over this distance. Lady In Lace was quoted at cramped odds as the other classic winner in the fray Kangra had been faring poorly during the season. Barring any hiccup, Lady In Lace was expected to overwhelm the opposition. Kangra in her customary front-running role, led the field well into the straight before Watchmyscript bounced ahead. Trevor Patel on Lady In Lace waited patiently with the favourite till mid-way through the homestretch. The progeny of Chinese Whisper covered ground with the jockey hardly having to move a muscle. When Trevor asked for more, the filly stormed ahead to win as she pleased from Watchmyscript who beat Kangra to the third place. Imtiaz Khan trained Justice Angel had run an impressive second in her last race and as such, she had as good a chance as any to win the 1400 metres Racing Patrons Trophy, a race for horses rated 75 and above. However, Justice Angel had never been a model of consistency with each of her runs being in variance. But since she was well placed and was running immediately after her impressive effort, she had lot of supporters to break the trend. The Hyderabad challenger Ambitious Approach had his share of supporters though it was difficult to expect to him to win as he was seeing this company for the first time in his career. 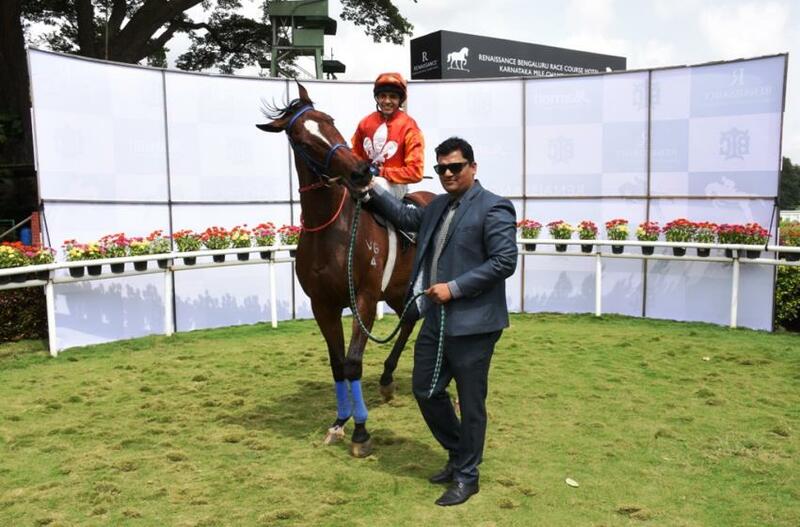 Ambitious Approach was taken to the front by jockey Akshay Kumar and led purely on sufferance as in the straight he was only overhauled by the eventual winner. Ambitious Approach also lost the second place to Booker Jones who rallied well but was not good enough to tackle Justice Angel. The last named came into prominence with a furlong left in the race and spurted away to win the race easily from Booker Jones and Fair Game. The rest of the runners either lacked class or appeared to be past their prime. After failing to live up to expectation, Queen Latifa who was in the news for all the wrong seasons, made amends winning the 1200 metres Camino Trophy (Div I), a race for horses rated 30 to 50. Queen Latif was at the wrong end of the field but in the straight, covered enormous ground and easily sailed past Fair Warning with a late rally to win by half a length. Interesting was some distance behind in third position. 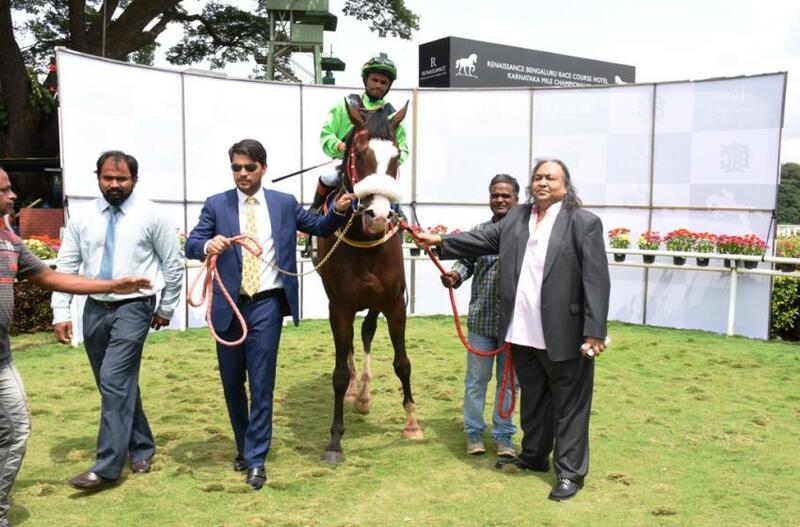 Queen Latifa was ridden by apprentice jockey Chetan Gowda who is beginning to get winning mounts. 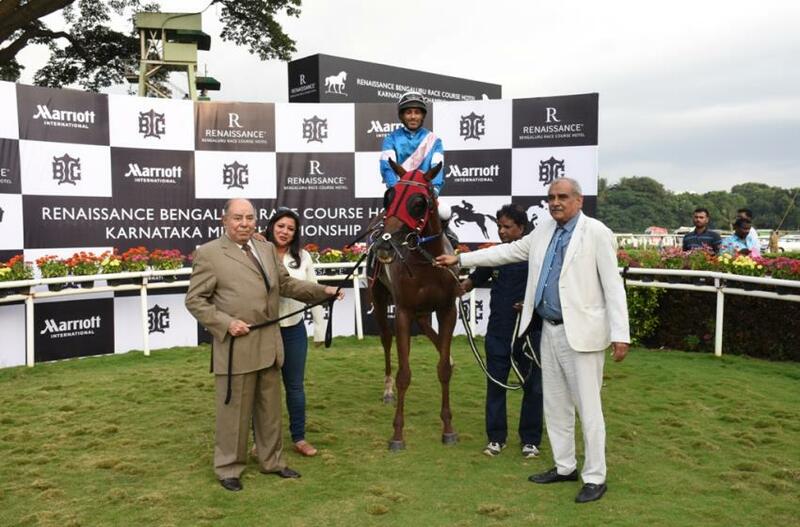 Irfan Ghatala trained Alberetta who had been running consistent races, asserted his supremacy in the lower division of the race with an easy win over Mint and Prince Azeem. 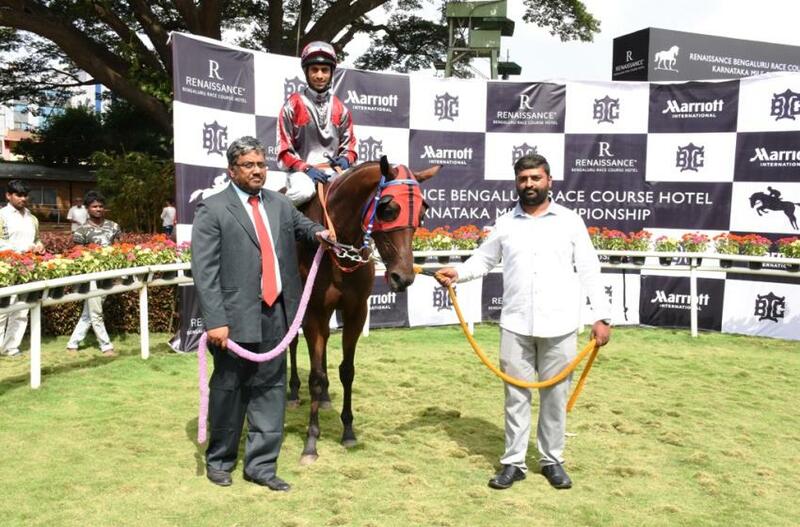 Prasanna Kumar trained Corybantic recorded a thrilling win from a difficult position in the 2000 metres H B Gundappa Gowda Memorial Cup, a race for horses rated 45 to 65. Corybantic was fancied to resume her winning ways but going by the way the race panned, it looked an uphill task. Star Cracker who led from the start enjoyed a good cushion going into the final furlong. Corybantic who had to be goaded and ridden hard to be alerted to the task, took her own time to respond. Though she came home with a powerful effort, it looked like she may fall short but since Star Cracker slackened close home, Corybantic was able to clinch the issue in the closing strides of the race. Masada headed Balian to get the third place. 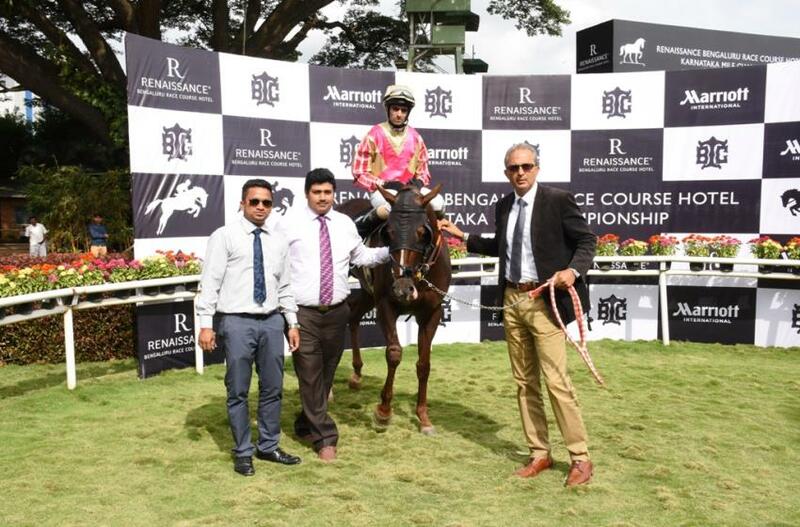 Trainer Neil Darashah who had a double for the day, saddled the winner of the day`s opener, the 1400 metres Borsalino Plate, a race for maiden three-year-olds through Game Changer. The strongly backed favourite showed out on turning for home and shot ahead by the final furlong to win quite easily from Ciel Etoile who rallied late. Candelightqueen edged out Tico Rico to grab the third place. 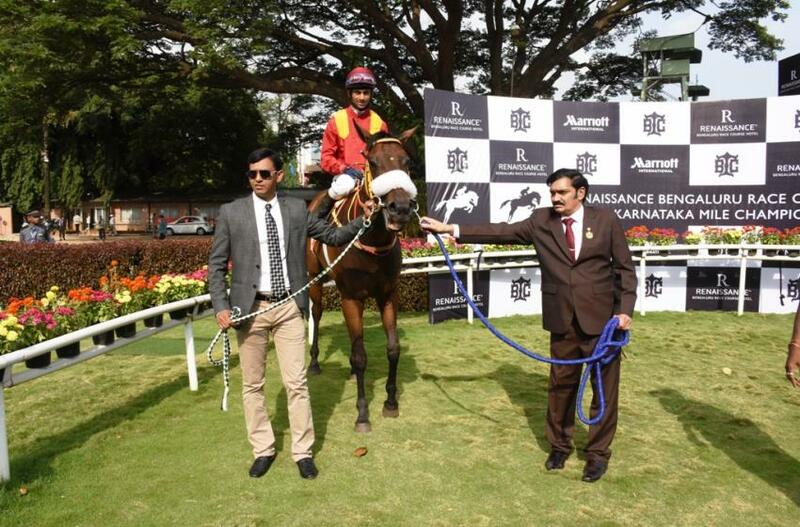 Parvati Byramji trained Piper Regina recorded an encore in the 1400 metres Allied Forces Plate, a race for horses rated 15 to 35 with great ease. Jockey Irvan Singh brought Piper Regina into contention inside the final 350 metres and the progeny of Ravel produced a powerful surge to sail past Amazonite to record a handsome win. Czar Rule came up with a late rally to displace Amazonite from the runner-up berth. Imtiaz Khan trained Feeling Easy who was well supported in the betting ring, readily obliged in the 1400 metres Meydan Plate, a race for horses in the lowest category. 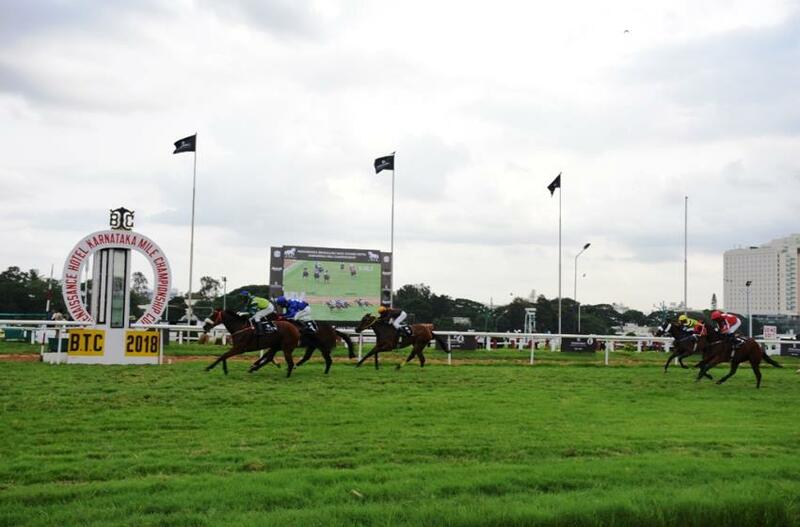 Feeling Easy led from the start and scooted away from the rest in the final furlong in the hands of jockey Vinod Shinde. Romantic Haven rallied late to come within striking reach of the winner. Rigelray was third.